BERLIN. — Germany’s prolific Miroslav Klose, the all-time World Cup soccer top-scorer, announced his retirement yesterday at the age of 38. The striker, Germany’s record scorer with 71 goals in 137 internationals, was without a club after his Lazio contract expired last season and he will now join the national side’s coaching staff. 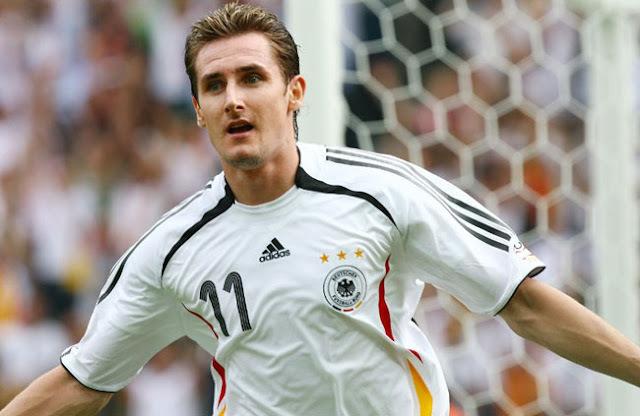 Germany went on to win the title in Klose’s last game for his country, but he continued in the Italian league with Lazio. Klose will join Germany’s coaching staff after an invitation from head coach Joachim Loew and will be on the bench alongside Loew for the 2018 World Cup qualifier away to San Marino on November 11 and the friendly four days later against Italy in Milan. He will complete an individual training programme with the goal of embarking on a coaching career, the German Football Association (DFB) says. — AFP.